While many companies would assert their absence from the global sourcing of ivory, they may be unwittingly contributing to the decimation of an endangered species. A number of enterprises and consumers throughout the world prize the precious material, primarily using it to make jewelry or apparel. 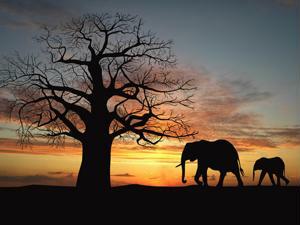 Many countries have banned the ivory trade altogether, as it contributes to the depopulation of elephants and endangered species such as the rhinoceros. Rebecca Rosen of The Atlantic noted 70 percent of the world's illegal ivory typically heads to China, where one pound is worth around $1,000. People assign such value to the material because of the historical context behind it: Rosen acknowledged artistic ivory carvings originating from the sixth millennium BCE. Archeologists have discovered common accessories and tools such as chopsticks, bow tips, combs, buckles handles and other artifacts. Why was ivory made a commodity to begin with? Rosen noted its durability and the ease with which it can be carved and shaped into a variety of objects, which has resulted in it becoming a luxury symbol. How does the ivory trade affect the legitimate procurement process? The fact of the matter is, many organizations could be unwittingly transporting ivory across the world without being aware of it. That being said, how could such blindness persist? Organized crime. Because demand for the material is so high, structured underworld factions have collaborated to penetrate legal shipping operations. False containers, barrels disguised as oil drums and other duplicitous assets are employed. It's a situation some would expect out of a TV show, but fiction is usually inspired by events grounded in reality. Supply Management noted a report conducted by the Born Free Foundation, which discovered between 2009 and June 2014, 170 tons of ivory had been seized by officials. This equates to the deaths of nearly 230,000 elephants. How can procurement services purge illicit ivory trade from company practices? Quiet audits: It may seem over the top, but auditors operating incognito may be able to prevent employees with nefarious intentions from smuggling illegal goods. Look at the hot spots: Companies with operations in ports that have lax trade regulations and standards should be thoroughly assessed - criminals look for such locations to traffic products. Test the waters: Before the RFP process, get as well acquainted with a business as possible. It's a frightening idea, but it's possible for criminals to exploit global shipping endeavors. Those are three steps companies can take to ensure this isn't happening in their supplier relationships.